What is the Peter Hess-Klangmassage and how does it work? 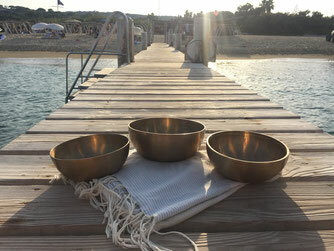 The singing bowl or sound massage is based on ancient knowledge of the effect of sound, which has been used in Indian healing arts for over 5,000 years. Eastern beliefs theorise that people are developed out of sound, and therefore are sound. Accordingly only a person living in harmony with themselves and in their environment, is in a position to lead their life in a free and create way. 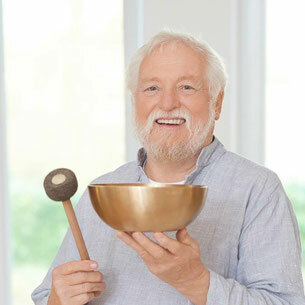 Peter Hess developed over the course of many years of research and practice, the singing bowl massage, adapting it to the needs of western culture. 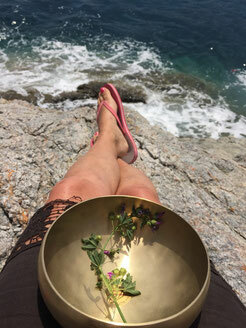 The singing bowl massage offers a diverse range of applications, from gentle but highly effective relaxation to specific goal-oriented applications in wellness, preventative health, education, counselling, and therapy in healthcare and holistic treatments. The sound of the singing bowl touches our innermost part, it makes the soul swing. The sound releases tension, mobilises self-healing powers and releases creative energy. 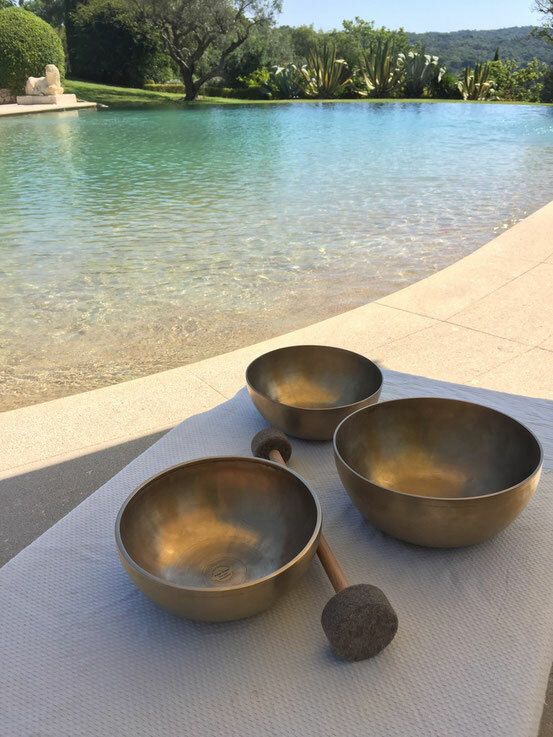 A singing bowl massage creates a comforting atmosphere of security and well-being. It can provide relief from stress, fears, worries, doubts and in general all negative feelings which have a negative impact on our health. It helps us to restore our perception of our body and our needs. The all too oft circling thoughts in our minds become still and our soul discovers place to unfold and develop. encourages physical and mental " letting go "
The Peter Hess-Sound Massage is based on many years of research and practice. The proven and original sound massage is exclusively practised by providers trained at the Peter Hess Institute. Peter Hess is a registered trademark throughout Europe. Jane Corlett, B.Sc, Massage practitioner, Sound Massage practitioner is personally trained by Peter Hess and is a member of the European professional Association for Sound Massage Therapy.